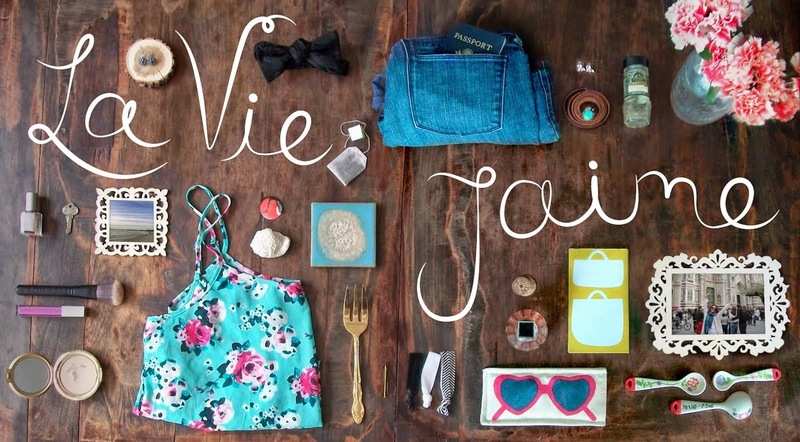 La vie Jaime : Shopbop & Theory Blog Birthday Giveaway! Shopbop & Theory Blog Birthday Giveaway! I am so excited about this giveaway for La vie...J'aime's 2nd birthday, as Shopbop is one of the best shopping sites out there. And how can it not be? With my fave brands Juicy Couture, Marc by Marc Jacobs, Jonathan Adler, and Theory- including tailored Theory pants and classic but on trend Theory shirts, there is something for every fashionista. Here are some items I have my eye on from Shopbop right now. 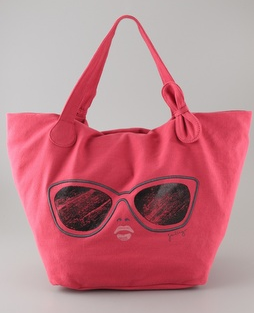 Juicy Couture Gen Y Sunnies Tote- perfect for the beach. 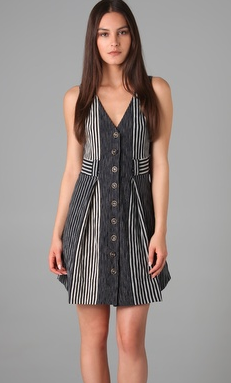 Marc by Marc Jacobs Anderson Dress- unique dress for work. 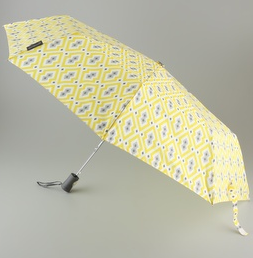 Jonathan Adler Aztec Diamond Umbrella- this is my favorite JA pattern. Theory Bolia Cami Top- adorable. Follow: However you follow La vie...J'aime- Google Friend Connect, Google Reader, BlogLovin', Twitter, Facebook, etc.- each counts as 1 entry. Comment: Tell me how you follow and your favorite Shopbop item and/or what you'd buy with the $100. Tweet: get an extra entry by Tweeting this giveaway. Just be sure to include @shopbop and @laviejaime in the Tweet. That's all! Contest ends June 16. Winner announced June 17 from random.org. UPDATE: Extended! winner announced June 20! great giveaway! there is so many clothes on the site - I would get either a maxi dress or a new pair of seven jeans! Oh I want that bag! Finley Open Toe Wedges. Thanks for the chance to win! Great giveaway! I love shopbop and would get some cropped jeans for summer :) happy 2 years of blogging! And I'm tweeting right now! i love shopbop. i've been wanting the rebecca minkof morning after clutch for soooo lonnngggg. i need i need! Great giveaway! I would love the grey jersey dress by Marc Jacobs! Of course I follow your blog... and I need sandals for the summer, so that's where my 100$ would go! I follow your blog and twitter! That theory top is great! I'd use the $100 for a classic yet fun dress for the Summer! Happy Blogiversary! Yes i made up that word. Follow you on Google Friend Connect, Google Reader, Twitter and Facebook! Love ShopBop and would get some new House of Harlow jewelry! Happy blog birthday! I follow on GFC! Now I'm following you on twitter @ohmydarlingblog, too. i follow via GFC, BlogLovin', Twitter, & Facebook. i would buy a cute dress for summer! Love, love love the Shoshanna Sweetheart Strapless dress, particularly in the Watercolor shade. Such a cute beach bag! I (@JASIVRAS) follow on Twitter! We're looking for a cool umbrella in case it rains at our wedding and I love the Felix Rey Love Umbrella & Tote Set! Love shopbob...too many things to choose but definitely would pick up some jewelry and a maxi dress. @bellagetsreal and following your tweets too. I would definitely get a new pair of seven jeans!! I love them! happy blog birthday!!! i would so buy that marc by marc jacobs dress...i NEED summer dresses so bad and that one is one of the most perfect ones i've seen so far! I follow you already on Blogger via GFC. I love all of the Gorjana earrings! It would be so hard to decide! I definitely follow you of course! And I LOVE the softjoie Fletcher tank, so hot. I like you on fb as Dee G.
I've been eyeing this Free People Skirt for.ev.or. And I'd have like $22 left over! Following on Bloglovin, twitter (scorpiondisco), AND friend connect. Bam. I follow on GFC! Thanks for a great giveaway. I am following you on Twitter as ZombiMeow! I love that pink bag!!! So cute! I like you on Facebook! I would think about buying that item! I follow you on Twitter @mom22girlz. I follow on Twitter @brittanyshick & I also tweeted about the giveaway: http://twitter.com/#!/brittanyshick. I would purchase the Parker Wrap Dress in black. It's so fabulous! I like the Bed of Roses Mini Dress! I'd probably buy that. Thank you for this giveaway! If I won I would be tempted to get the Riller & Fount Cookie Draped Front Top! I follow on GFC. Even though summer is here I would love to get a new pair of jeans. I really like the Citizens of Humanity Amber Mid Rise jeans. so, so many choices! i would probably get some sandals for the hot summer! woohoo. 2. I follow w/Google Reader. I follow your blog via GFC as Anna. I follow you on Twitter as @mymindsvoice. I would buy a pair of Hunter boots. Fabulous giveaway! I would definitely invest in some new sundresses for all of the summer parties I have coming up!